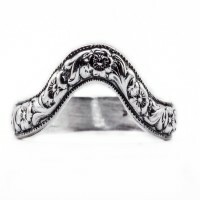 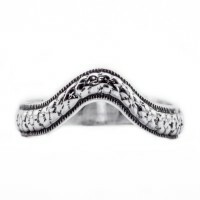 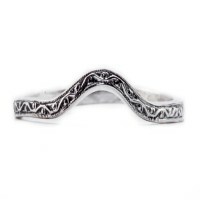 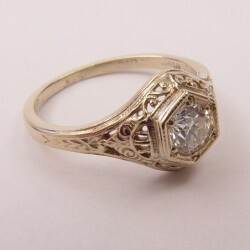 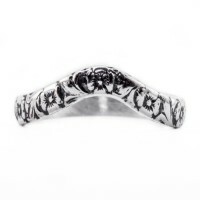 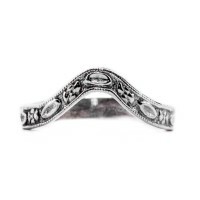 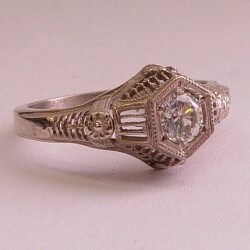 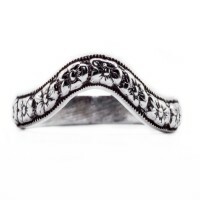 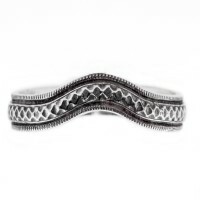 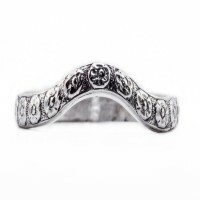 Vintage, antique designed, filigree wedding band. 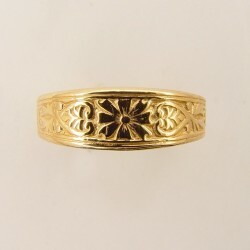 Engraved and Curved. 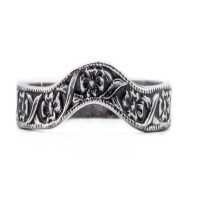 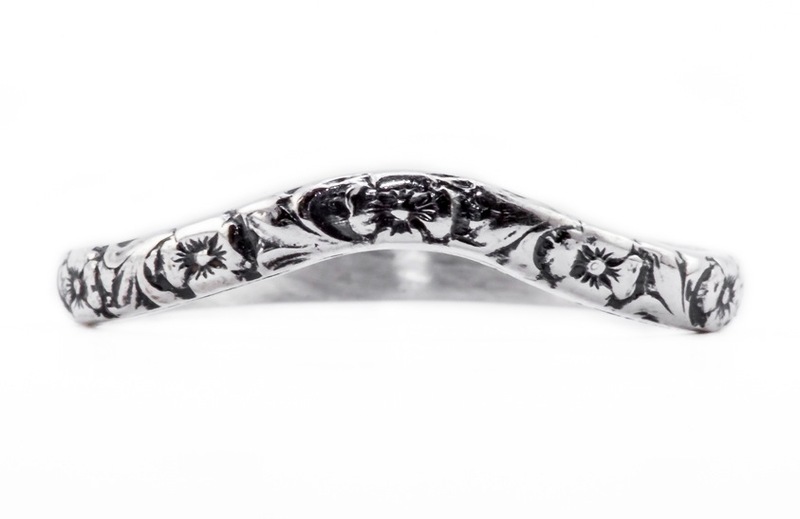 Gorgeous companion band with flowers and leaves. 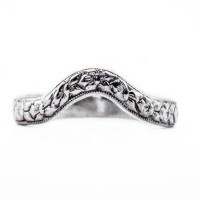 Weight: 1.40 dwt Shipping Cost: Shipping is free to the Continental U.S. International shipping is not free and you should call first before ordering. 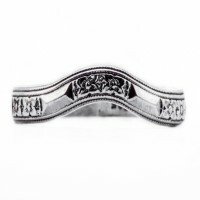 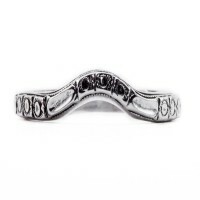 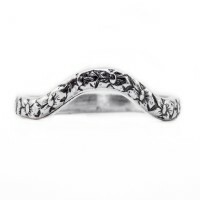 Dimensions: 2.4mm Condition: This ring is made to order and will be absolutely brand new.